Did President Poroshenko use a clash with Russia to try to shut down internal opposition? At first glance, Russia’s seizure of three Ukrainian warships that attempted to enter the Sea of Azov seems to follow a familiar pattern of aggression aimed at solidifying control over the annexed Crimean peninsula. Upon closer inspection, however, there is much more going on here than a dispute over transit rights. By firing upon the Ukrainian vessels, Russia violated the December 2003 agreement on cooperative use of the Sea of Azov, which clearly provides for the unimpeded transit of both military and commercial ships of either country. This was immediately condemned by Washington and other Western capitals. But it is worth noting that this agreement is explicitly tied to the 1997 Treaty of Friendship between the two countries. Indeed, when Ukraine withdrew from this treaty this past September, many Ukrainian legal experts warned that it would actually undermine Ukraine’s legal standing in the event of a border dispute. In October, therefore, Ukrainian President Petro Poroshenko unilaterally issued a set of directives delimiting Ukraine’s new border in the Azov and Black seas. Little noted at the time, these also apparently contained “an extensive secret section in the form of directives to the Council for National Security and Defense” to be carried out within the next 30 days. This is where the president’s response to the latest incident becomes interesting. Within hours of the Russian military action, Poroshenko managed to convene his war cabinet, got it to propose martial law nationwide, and demanded that the Rada (Ukraine’s parliament) approve it. No other crisis—not even the presence of Russian troops in Donbass and Crimea—has ever evoked such a draconian response. The decision to do so now, at the onset of the presidential campaign, therefore raised enormous suspicions. In a recent online interview, opposition parliamentarian Nestor Shufrich describes how the leader of the Radical Party, Oleg Lyashko, and presidential front-runner Yulia Timoshenko literally stormed the dais where Poroshenko was speaking, demanding to see the text of the martial-law decree that they were supposed to vote on. When Poroshenko replied, “You’ll just have to take me at my word,” the meeting disintegrated into jeers and personal insults hurled at the president. It is a sign of the president’s current political standing that he was unable to pass his proposal through a parliament that is largely controlled by the party that carries his name. To preserve a united front, and salvage the dignity of the presidency, a compromise was proposed and, after a hasty phone call between Poroshenko and German Chancellor Angela Merkel, adopted. Poroshenko was forced to cut back his proposal for martial law from two months to one month, and was permitted to implement it in only 10 regions of the country. He was also forced to set a firm date for presidential elections: March 31, 2019. 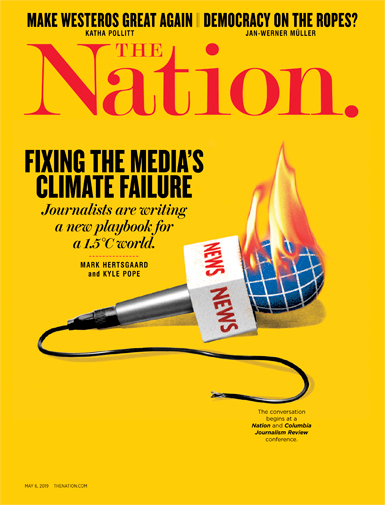 We will probably never know if this latest conflict with Russia was specifically designed to bolster Poroshenko’s plummeting political fortunes, but if it was, then like many of his other initiatives—restricting public use of the Russian language, disestablishing the canonical Ukrainian Orthodox Church and replacing it with a new “national church,” and curbing the rights of minorities to education in their native tongue—it seems to have exploded in his face. If Russia does not actually attack Ukraine now, Poroshenko will be widely mocked for raising unjustified fears and stoking economic and political chaos on the eve of the elections. 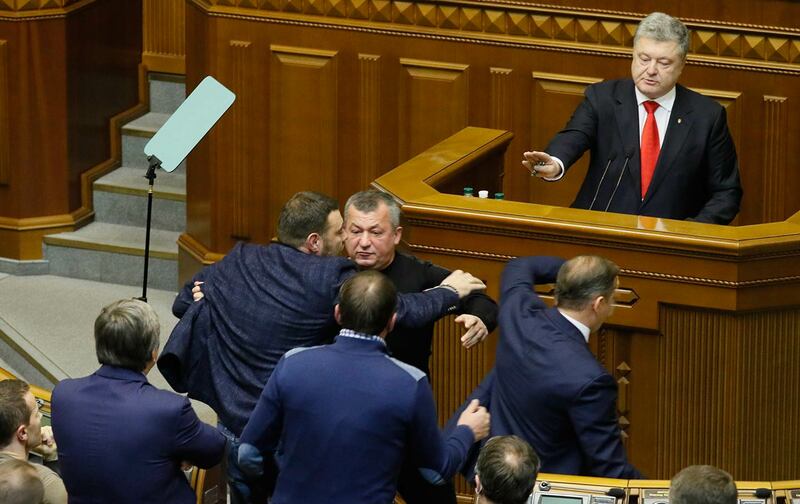 Opposition leader Shufrich triumphantly declared that the parliament beat back what he called Poroshenko’s “Pinochet scenario.” The battle, however, is still far from over, and it has already left new scars on the Ukrainian political landscape. As a result of this “victory,” all political activity in a third of the country will be suspended for at least a month. An extensive list of restrictions on public, private, and economic activities will be imposed, including military censorship on local media outlets. Conveniently for Poroshenko, the area under martial law coincides almost perfectly with the political base of the Opposition Bloc. It is also where the Ukrainian Orthodox Church (Moscow Patriarchate) is strongest, where trade with Russia is most extensive, where Russian is the predominant language, and where Poroshenko’s political ratings are next to nil. Still, it is hard to imagine any Western leader complaining very loudly about any of this. Trapped by their own anti-Russian rhetoric, dialogue with Russia, on Crimea or anything else, is clearly out of the question. Nor can they rein in Ukraine’s efforts to escalate the confrontation, for fear of being accused of condoning Russian aggression. As a result, hostilities in the region can only escalate, until Western leaders ask themselves whether Ukraine’s interest in conflict with Russia is really the same as their own.